The late 1800s/early 1900s was an extremely weird time to be alive. The class divide was far wider than you could imagine, with people either being born into a hand-to-mouth existence, squashed into a room with twelve other people or a life of complete debauchery on par with the Greek gods of Mount Olympus. This was a world just starting to drift away from religion in favour of science, psycho-analysis, poetry and literature, where Sherlock Holmes pioneered the scientific method in the Strand magazine and Oscar Wilde’s The Picture of Dorian Grey flew off the shelves. It was in this time that a man was born who would survive for decades to come and be known always as the most evil man alive. 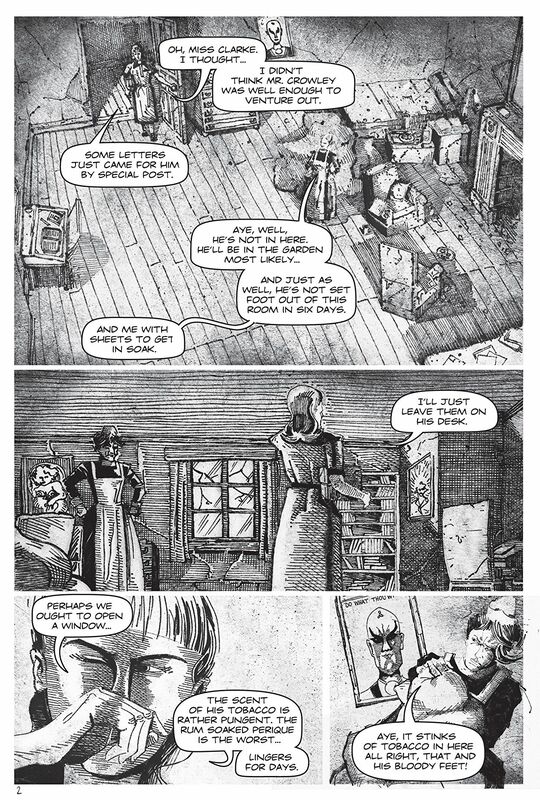 That man was Aleister Crowley, a man whose story this beautifully crafted novel from Markosia tells. Set near the end of his life, Aleister is regaling a young author with the story of his life and his descent into the dark arts. What follows is something that mixes nightmarish art, collages of poetry and quotes, historical accuracy and the unknown in-betweens of the man’s life. Frequently blurring the line between reality and what we hope wasn’t true about a life that was dark enough as it is. I was drawn to the novel instantly because of my fascination with Crowley and have to say I wasn’t disappointed in the detailed accuracy in the retelling of his life. The story pulls no punches at all in showing just how dark and depraved this man, was but also how delightfully charming and intelligent he was too. Using quotes and references from his many writings Martin Hayes casts a dark reflection of the real-life dark wizard in a novel that I had to stick to reading during daylight hours after Mr Crowley started turning up in my dreams! What really struck a chord with me though was the art. At first it reminded me of some of Ralph Steadman’s grotesque caricatures in Fear and Loathing in Las Vegas, spluttering blotches of ink and exaggerated, surreal depictions of characters and their surroundings. But what sets this apart is RH Stewart’s attention to detail. 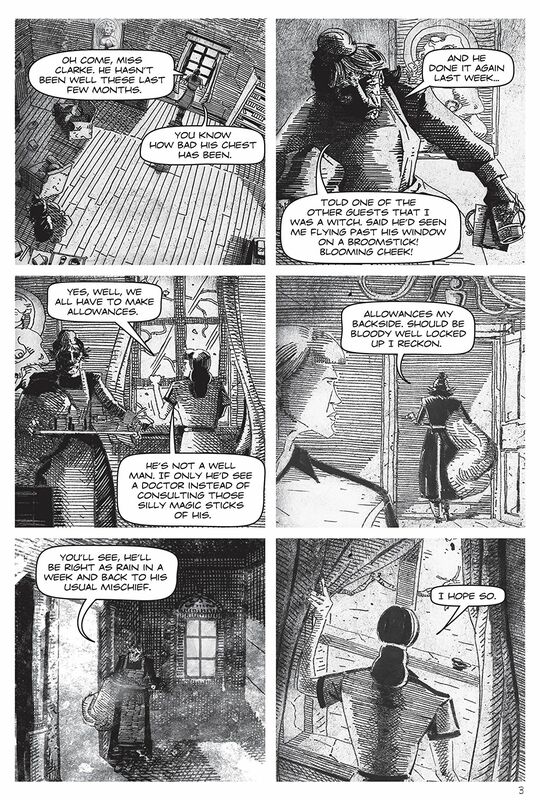 Rather than the rushed Steadman style, every page is thought over and beautifully created to perfectly match the tone and dialogue of each scene. 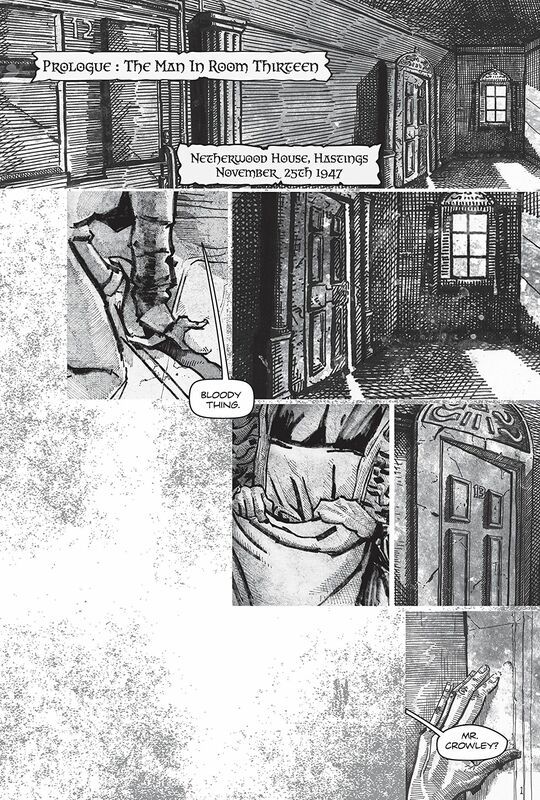 It’s one of those books that you have to look closely at to see the flow of the story, as well as the collage of scripture, newspapers clippings and blurring backgrounds that give it that truly hellish and unique look. 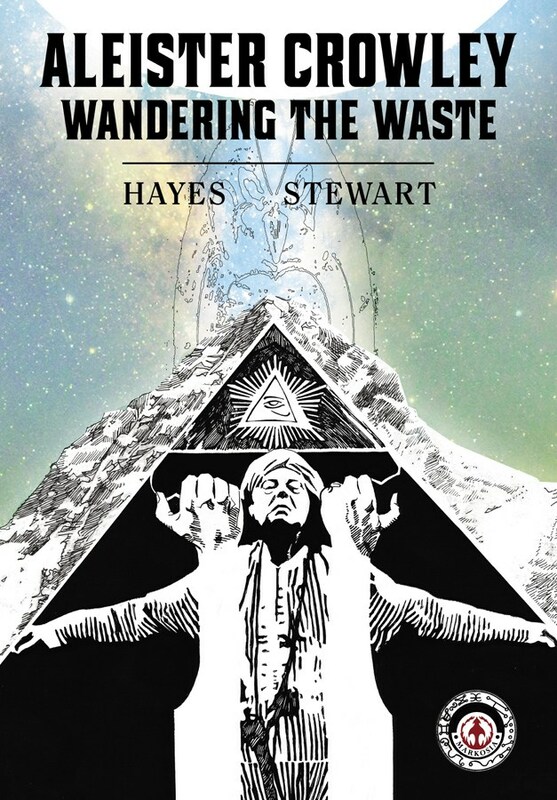 Wandering the Waste is a gorgeous novel to read, providing a haunting and off-putting insight into the so-called ‘most evil man alive’. One for horror fans, magic fans or us general nerdy Goths and misfits who like such things. A bloody good find on Comichaus, I must say!